Last night I attended the Year 11 Prom and it was a delight to spend time with this wonderful group of young men and women. The boys looked incredibly smart in their suits and the girls looked stunning; more sequins than a series of Strictly Come Dancing. The karaoke and disco were a hit too. I’m sure I heard Greased Lightnin’…could that be a clue to our next musical? 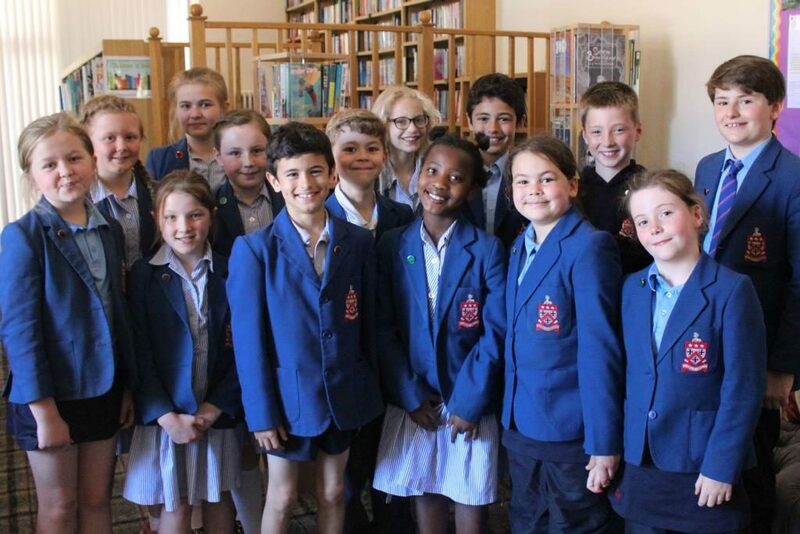 We have had a number of transition days recently and it has been wonderful to welcome new pupils to the school. Today we welcomed pupils who will be joining Year 7. Given the increased numbers for this year, we are running three classes from September. Should you know anyone who will benefit from our unique atmosphere, where every child is known and not merely a number on the school roll, do point them in our direction. We have now placed the order for the new Sports Uniform for Years 4-11. As I mentioned previously, we’ve tried to keep the prices as low as possible and the compulsory items to a minimum. The kit is due to be delivered mid-August. We’re proposing to run ‘quick fit’ sessions in the last week of the holidays (you will not have to queue for hours!) for those who would like to be there when the children try on their kit. Alternatively, the children will be able to buy the kit during the first week of term. I will send further details when they are confirmed. Pupils in Year 11 will only need the new kit if they are representing the school at sport. Pupils in Year 3 may also need a limited amount of new kit when undertaking games on the P&S site; we will advise you of this separately. I have attached a price list and some images for your perusal. As you’re aware, we’ve been talking to other providers to continue the excellent work of Enter CIC. Trudy Hindmarsh, Jane Jackson & Annabelle Crosby-Stewart have put together a proposal for parents and invite you to an information event on 10 July at 4.15pm in the Prep & Senior School. All three are experienced professionals and would like to tell you about their proposal and showcase the talents of some of their pupils. Further details are attached for you to consider with a view to discussing the proposal at the meeting. Should you not be able to make this event, please feel free to let me know your thoughts. You may have seen recently that several child protection groups have issued warnings about Snapchat’s new location-sharing feature, included in a recent update, which could allow predators to more easily track our young people. As you may know, Snapchat lets users send photos, videos, and messages which disappear after a set period of time. Users can select who can see where they are – whether that be all friends, a select group, or no one (known as “Ghost Mode”) and I would ask you to talk to the children about keeping their location private and ensuring their “friends” on Snapchat – and all social media – are people they have met in person. I look forward to seeing you on Wednesday for Senior Prize Giving as we celebrate the academic year. Parents of prize winners should already have received notification of this but all members of our community are welcome to this event. I am delighted that Mr Makin has agreed to present the prizes; a fitting way to conclude his time here. Gates open at 11am and the event will draw to a close at 3pm. It’s a fun event for all ages: try the free fall slide if you dare (height restrictions apply) or the bungee run with another parent. For the children there’s an assault course and karaoke too! The BBQ will be serving burgers, sausages and pulled pork buns, as well as vegetarian choices, and the bar will ensure you remain hydrated. We are also hoping to receive donations of home baked delights for the cake stall for you to enjoy with a cuppa whilst you watch the choir our cheerleading pupils perform. (Please note: we cannot accept any cakes that contain nuts.) We look forward to welcoming you, and your friends and family, along. Many thanks to those who have offered to give up their time to help run the stalls and to those who have donated items. I look forward to seeing many of you there tomorrow.